Martin Christopher has been at the forefront of the development of new thinking in logistics and supply chain management for over thirty years. His contribution to the theory and practice of logistics and supply chain management is reflected in the many international awards that he has received. His published work is widely cited by other scholars and he has been invited to participate in academic and industry events around the world. 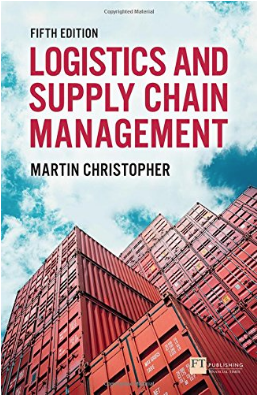 At Cranfield School of Management, one of the worlds premier business schools, Martin Christopher has helped build the Centre for Logistics and Supply Chain Management into a leading centre of excellence. Under his leadership the centre became one of the foremost focal points for innovative teaching and research in logistics and supply chain management. 5th Edition – Logistics & Supply Chain Management.